IF result(confocal image) of CL-K1 in ATCD5 cell show Golgi localization from Prof. Philip L. Beales. 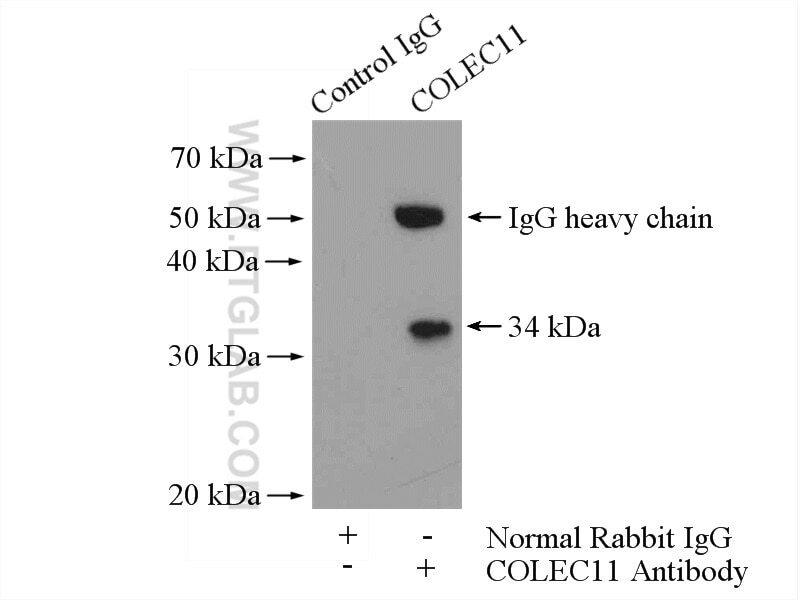 IP Result of anti-COLEC11 (IP:15269-1-AP, 4ug; Detection:15269-1-AP 1:500) with mouse liver tissue lysate 6400ug. 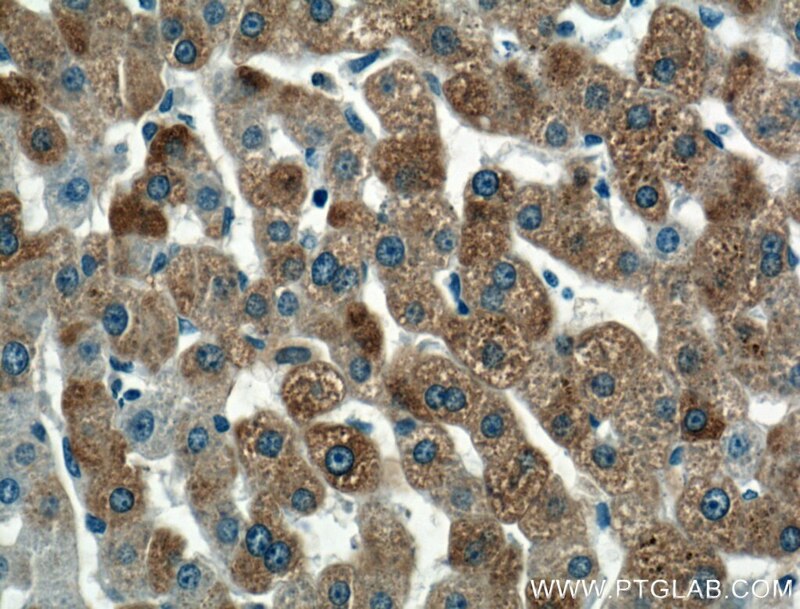 Immunohistochemical analysis of paraffin-embedded human liver tissue slide using 15269-1-AP( COLEC11 Antibody) at dilution of 1:200 (under 10x lens). 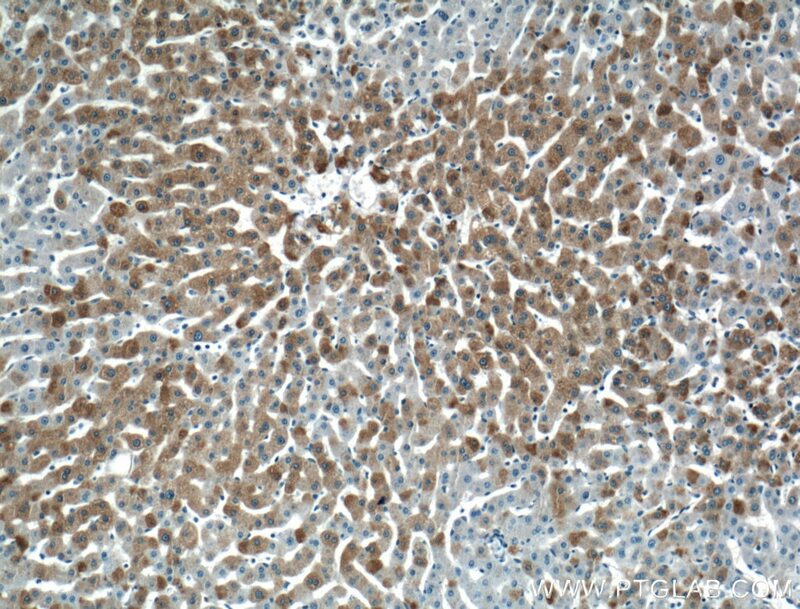 Immunohistochemical analysis of paraffin-embedded human liver tissue slide using 15269-1-AP( COLEC11 Antibody) at dilution of 1:200 (under 40x lens). Mutations in lectin complement pathway genes COLEC11 and MASP1 cause 3MC syndrome. Collectin-11/MASP Complex Formation Triggers Activation of the Lectin Complement Pathway - The Fifth Lectin Pathway Initiation Complex. Heterocomplex Formation between MBL/Ficolin/CL-11-Associated Serine Protease-1 and -3 and MBL/Ficolin/CL-11-Associated Protein-1. Development of a Quantitative Assay for the Characterization of Human Collectin-11 (CL-11, CL-K1).